Tags: Ancient historiography, Historical Sources, Stott: Why Did They Write This Way? 9 1 Let us now look at Timaeus’s own deliberate statement, and compare with Aristotle’s the account he himself gives of this identical colony, so that we may discover which of the two deserves such an accusation. 2 He tells us, then, in the same Book, that he investigated the history of the colony, no longer applying the test of mere probability, but personally visiting the Locrians in Greece proper. 4 In addition there were decrees that citizens of either town were citizens of the other. When they heard Aristotle’s account of the colony they expressed astonishment at that author’s recklessness. 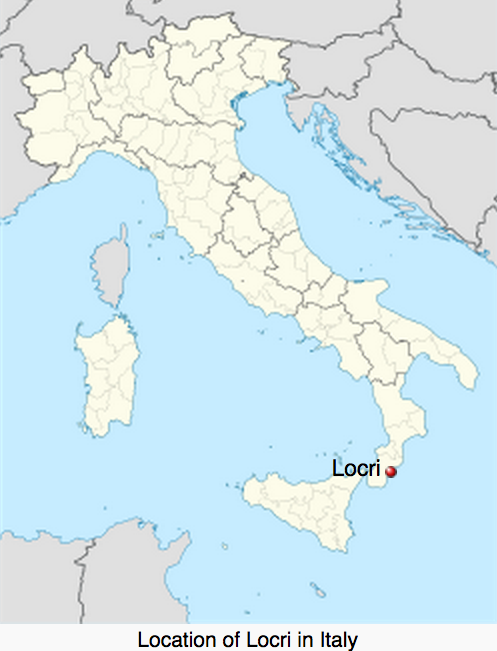 5 Proceeding afterwards to the Italian Locri he says he found their laws and customs also were such as beseemed not a pack of rascally slaves but a colony of freemen. 6 For certainly there were penalties fixed in their code for kidnappers as well as for adulterers and runaway slaves, which would not have been the case had they been aware that they themselves sprang from such men. 10 1 In the first place we are in doubt as to which of the Greek Locrians he visited for the purpose of inquiry. 2 For if the Greek Locrians, like the Italian, were confined to one city we should perhaps not entertain any doubt, but the matter would be perspicuous. 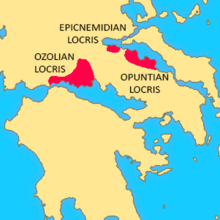 3 But since there are two sets of Locrians in Greece proper, we ask to which he went and to which of their cities and in whose possession he found the inscribed treaty; for he gives us no information on the subject. 4 And yet Timaeus’s special boast, the thing in which he outvies other authors and which is the main cause of the reputation he enjoys, is, as I suppose we all know, his display of accuracy in the matter of dates and public records, and the care he devotes to such matters. 5 So it is most surprising that he has not informed us of the name of the city where he found the treaty or the exact spot in which it is inscribed, or who were the magistrates who showed him this document and with whom he spoke, so that no cause of perplexity would be left, but the place and the city being identified, those in doubt would have the means of discovering the exact truth. 6 The fact that he neglects to inform us on all these points is a clear proof that he knew he was deliberately lying. For that, had Timaeus got hold of such information, he would not have let a word of it escape, but, as the phrase is, would have held on to it tight with both hands, is evident from the following consideration. . . .
We don’t know from Polybius’s accusation if Timaeus really was lying about having seen such a treaty but Polybius obviously did not find it incredible to think that a historian would lie about documentary evidence that contemporaries could in theory check for themselves. We will return to this point. The desire to “prove” or confirm an account is a strong motives that we may suspect would lead an ancient historian to make such false claims. Temples are good places for a ruler or priest to find long-lost evidence that suddenly becomes very serviceable for immediate political and economic needs. We recall the timely discovery of the Book of Deuteronomy that gave King Josiah his mandate to effect his political reforms. In Livy’s history of Rome, Book 4 chapter 20, we read that the emperor himself had seen the written evidence that a hero-of-old (Cossus) held the office of consul at the time he offered a special war-offering in a Temple of Jupiter. In stating that Cossus placed the spolia opima secunda in the temple of Jupiter Feretrius when he was a military tribune [= lower than a consul] I have followed all the existing authorities. 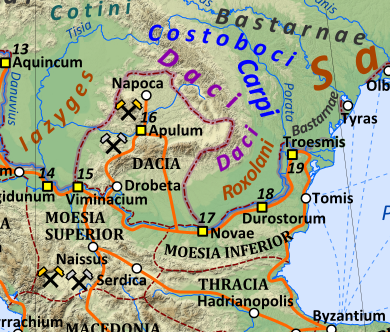 But not only is the designation of spolia opima restricted to those which a commander-in-chief has taken from a commander-in-chief —and we know of no commander-in-chief but the one under whose auspices the war is conducted —but I and my authorities are also confuted by the actual inscription on the spoils, which states that Cossus took them when he was consul. 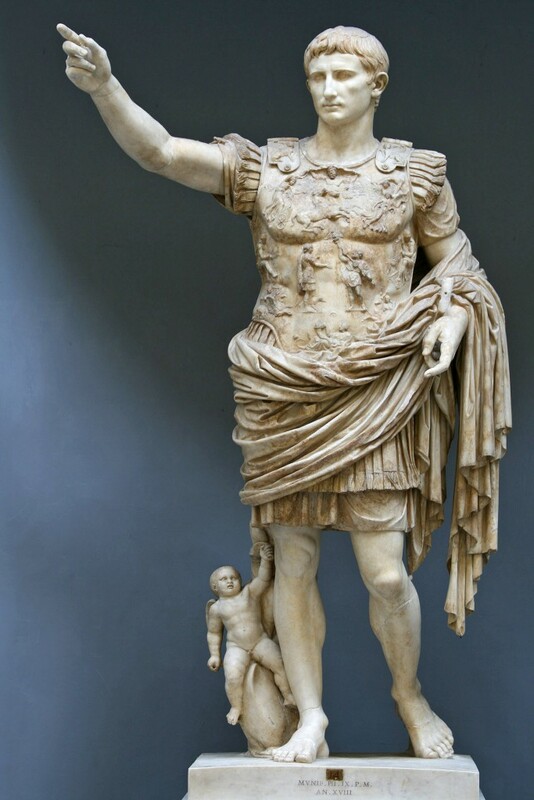 Augustus Caesar, the founder and restorer of all the temples, rebuilt the temple of Jupiter Feretrius, which had fallen to ruin through age, and I once heard him say that after entering it he read that inscription on the linen cuirass with his own eyes. There has been much discussion surrounding Livy’s account as can be seen from one of its footnotes at the Perseus site. Crassus himself slew their [the Bastarne’s] king Deldo and would have dedicated his armour as spolia opima to Jupiter Feretrius had he been general in supreme command. Successful in all directions, the Dictator returned home to enjoy the honour of a triumph granted him by decree of the senate and resolution of the people. By far the finest sight in the procession was Cossus bearing the spolia opima of the king he had slain. The soldiers sang rude songs in his honour and placed him on a level with Romulus. He solemnly dedicated the spoils to Jupiter Feretrius, and hung them in his temple near those of Romulus, which were the only ones which at that time were called spolia opima prima. All eyes were turned from the chariot of the Dictator to him; he almost monopolised the honours of the day. By order of the people, a crown of gold, a pound in weight, was made at the public expense and placed by the Dictator in the Capitol as an offering to Jupiter. Augustus was taking no chances that Crassus would repeat the performance and happily found in the temple the inscription that demonstrated Cossus was not such a lowly subordinate after all. Dylan Sailor in an article “Dirty Linen, Fabrication, and the Authorities of Livy and Augustus” (Transactions of the American Philological Association, 136 (2006) 329-388) goes further and finds grounds for believing that Livy was subtly depicting Augustus’s fortuitous discovery as a divine miracle so that the more educated persons of a sceptical bent would immediately recognize Livy’s cynicism towards the emperor’s claim. Sailor finds rhetorical parallels with earlier episodes of miraculous events in the History where Livy scoffed at the way the uneducated believed such things. What interests me here is Sailor’s identification of another means by which the reader is given a right to suspect a fabricated source. When describing Augustus’s discovery Livy slips into the rhetorical style more typical of his narration of myths. [Ctesias’s] imagination accounted for 95 percent of the first four books of the Persica. So one of the tell-tale signs is that the supposedly cited sources contain the same style as the author. Another is the happy convenience of them appearing to support incredible claims. Yet one more is the appearance of the name chosen. We see all of these sorts of traits in biblical works, too, so one ought not be accused of singling out the Bible for special criticism if we find the same standards applied to nonbiblical works. Ouch. How familiar that regretfully sounds to anyone who has waded through so much biblical apologetics masquerading as scholarship. I can no longer say they stand alone in academia. 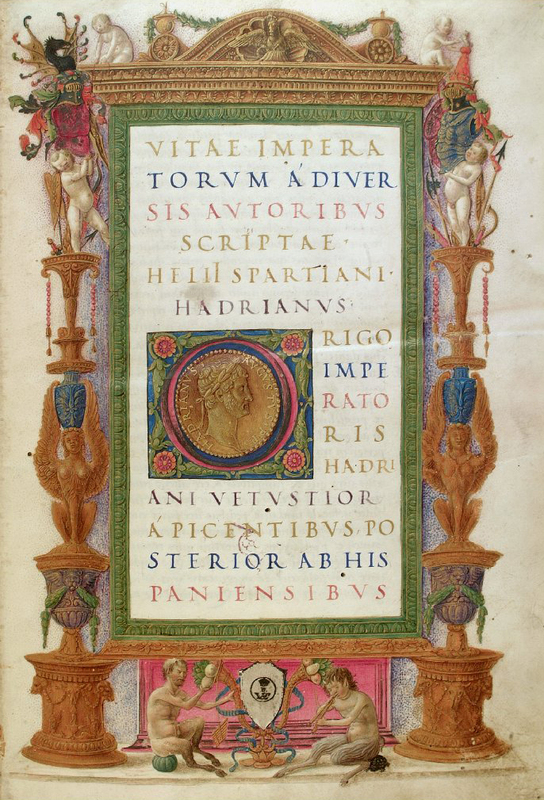 For while a prosecuting attorney would not hesitate to accuse both writers of deliberate, bare-faced forgery, a more sympathetic critic might conclude that they were just pushing to a different level a tendency common to mythographers, paradoxographers, and collectors of curiosities like Aelian alike: citing sources they had not seen and knew no one would check. That last sentence reminds me how I sometimes wonder how the fourth century evidence we have for the second century Papias is able to withstand the enormous weight of so many hypotheses standing upon it. We are moving away here from the Hebrew Bible citations with which I began this post and moving into the world of the New Testament writings, thinking especially of Luke-Acts. Again, this does not mean that the biblical authors made up sources but it does entitle us to test their claims when they cite letters, speeches and traditions. Wouldn’t the authors have been caught out? sometimes carried to ludicrous and even scandalous extremes. In such cases the more unscrupulous writers have such full scope for invention that they can lie to their heart’s content about whole books and authors without fear of detection. For what never existed can obviously never be found, whereas if the subject is familiar the careful investigator will often detect the fraud. It is worth dwelling on the final sentence. Quintilian’s point (a good one) is that if I falsely cite (say) Homer or a play of Euripides as my authority, I may get away with it among the unlearned, but sooner or later someone willing to take the trouble to check such well-known and accessible texts will expose me. But if I cite, to take a couple of Ps-Plutarch’s inventions, Agatharchides of Samos, Persica book 2, or Aretades of Cnidos, Macedonica book 3, no one will be able to prove they don’t exist. . . .
A significant indication (one stressed by Katherine Stott) that we are looking at fraud is when an author fails to use a source to add any substantive information to his narrative but rather makes the claim for no obvious reason other than to assert the authenticity of his tale. Another indicator is that the style of the quoted source fits too neatly with the style of the quoting author. Also significant is our inability to find external independent attestation for the existence of the sources. This becomes especially weighty when the citation contradicts what can be independently verified. When the author making the citation fails to provide details of how he came by his source and if the claim it is used to verify is unconventional or even in the realm of the miraculous then we are entitled to be suspicious. I will probably recall more after I post this and will add them here as I do. The point of this post is to provide an understanding of another aspect of how historical writing was too often carried out in ancient times. Its importance is in giving us another facet of the wider literary context in which the biblical texts were written. I will be able to refer back to this post in future essays when I discuss the Old Testament citations with which I began and also other NT works. Cameron, A. (2004), Mythography in the Roman World, Oxford University Press, Oxford. Fehling, D. (1989), Herodotus and His ‘Sources’, Francis Cairns, Leeds. Drews, R. (1973), Greek Accounts of Eastern History, Center for Hellenic Studies, Washington D.C.
Syme, R. (1983), Historia Augusta Papers, Clarendon Press, Oxford. Posted on 2015-07-24 10:06:21 GMT+0000 by Neil Godfrey. This entry was posted in Ancient historiography, Historical Sources and tagged Ancient historiography, Historical Sources, Stott: Why Did They Write This Way?. Bookmark the permalink. This should read Crassus, not Cassius. Thanks and thanks for the correction. The ancients told porkies? Never! It’s interesting to note how small a role the forgers themselves ultimately played in their own fraud; authoritative weight placed on sources despite low expectation of verification created conditions where strong enough interests could unwittingly create their own history, comparable to the science for hire of the tobacco industry. And yet the only way some NT scholars can conceive of such scenarios in terms of gospel narratives is as vast conspiracies, not simple defect of method or difference in contextual standards. Yes. What I found particularly interesting was Cameron’s point that it was especially in the period of the Roman empire when the gospels were being composed that authors writing history were strongly attracted to the importance of authenticating their claims by means of cited sources. Yet that’s what we don’t find in the gospels, nor even in Paul’s references to the Lord’s sayings. Is this practice really much different than what modern Biblical scholars propose with J,E,D,P, Dtr-1, Dtr-2, and R, not to mention Q, L, M, etc? Positing “sources” that don’t exist is remarkably similar to inventing sources that don’t exist. Is this practice really much different than what modern Biblical scholars propose with J,E,D,P . . . etc? Suppose it is. Can you suggest a reason to prefer one over the other? Let’s suppose for the sake of discussion that it’s not at all different. Can you suggest a reason to prefer one over the other? Despite contrary advice on here I went rapidly through the criticisms by Neville, Peabody and again Butler criticizing the second element in the Mk + “Q” = Mt hypothesis, and think the case against actual existence of a posited Quelle quite strong, although various alternatives suggested to a supposed interdependent sequence are open to question. But who cares? Nice essay. An interesting point on the Hittite relief and inscription attributed to Sesostris. The reported height of the figure of Sesostris (4 1/2 cubits) is almost exactly that given Herakles according to other ancient sources, and the smiting pose is similar not only to Egyptian pharaohs but to Herakles and his club. 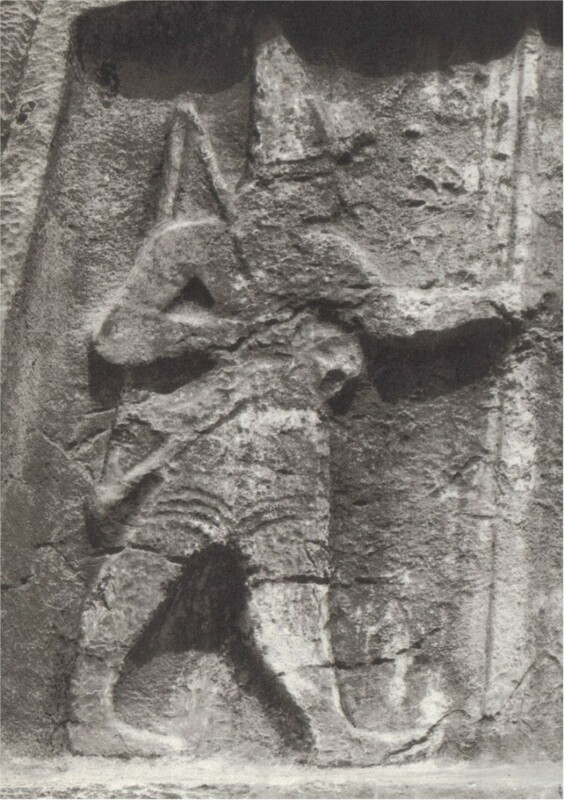 In unpublished research I have concluded that this relief near Smyrna was a source for some of the Hercules traditions. There was all sorts of ancient archaeological and inscriptional “evidence” about Hercules and his Labors in antiquity. Just because there’s an ancient source doesn’t mean it’s true! Is there a particular reason why 50% of the Liar school gets used on the reliability of Herodotus? There’s been a pretty strong cottage industry of rebuttals since. Some of Fehling’s statements may have been overstated but I don’t have difficulties with the main thrust of his argument. I do seem to detect a little defensiveness on the part of a number of his critics, however. It hurts to lose a favourite treasure or be told much of it is fake. >or be told much of it is fake. I think that’s the difference between us – I’m not seeing too many who think that the whole ‘made-it-up’ idea is valid. Problems, sure, fabrication, not so much. What I meant by “much of it being fake” was the proposition that Herodotus was not an eyewitness to many of the scenarios as he indicated he was, and that much of his narrative is not as reliable as once believed. The whole wasn’t made up. 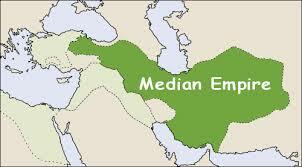 But there is evidence to indicate that many sections were. then the fabrication of ‘eyewitness’ accounts of Herodotus probably should indisputable, rather than disputable. I’m not trying to say that all of Herodotus is accurate, nor that all his eyewitness accounts are valid, but simply that the example given is impeachable and the school of thought [i]behind[/i] the ideas of fabrication is also hotly debated (I’m having a hard time finding anyone with a lot of positive things to say about Fehling in recent publications, although Fowler seems appreciative of West’s article). To me it’s a bit like presenting Finkelstein’s Low Chronology as a done deal rather than an end of an argumentative spectrum. Do you have specific arguments to gainsay the point of the post or the examples given here? Fehling’s book certainly raised a storm of controversy (I think I said that some of his particular details appear to be overstated) and I have several articles by authors following the same theme since. I am surprised to hear anyone say they have had trouble finding any of this literature. What about work done on the moral and “theological” character of Herodotus’ “History”? Have you had an opportunity to read any of this? If not, I can certainly offer you a small bibliography of the works I have collected in my own files. I’d be interested in hearing any arguments against the particular examples I gave in the post. Sorry, I’ve been (and still am) on holiday. It’s less about specific examples (although Pritchett, deftly or ineptly deals explicitly with Sesostris IIRC, and Stott also mentions this IIRC), but more to do with the overall thrust of the post which I’ve taken to be something like ‘Biblical writers may have made sources up, here are some Ancients who did, and here’s Fehling to confirm it with Herodotus’, which made me go ‘Er…’ simply because Fehling’s book is so controversial. Perhaps it’s just my wish that the argument be fronted by something that isn’t so heavily argued about (what I mean by indisputable). I’ve got plenty of people arguing against Fehling or stunting the arguments (Shrimpton, Mellor, Fowler, Marincola, Luraghi), but outside the Liar school I’ve had trouble digging up much who argue *for* the school, so I’d be grateful for any bibliography hurled my way. If I may be presumptuous to offer a suggestion, Zotero does have both a collaborative and personal bibliographic option both which can be viewed- I know I’d be interested in your other bibliographies on other subjects you’ve talked about. Otherwise I’ll keep a look out below (or you’re welcome to mail directly to my email if you can see it).